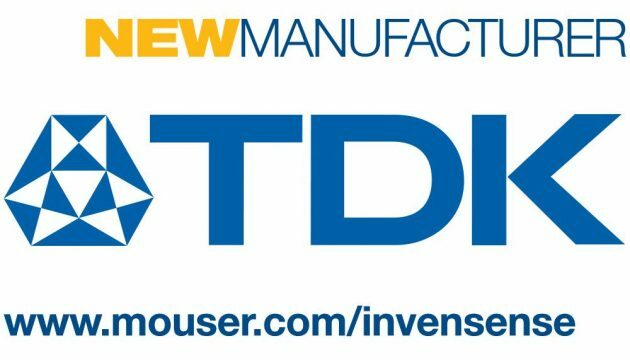 Mouser Electronics, Inc., the authorized global distributor with the newest semiconductors and electronic components, announced a global distribution agreement with InvenSense, a TDK Group company and a leading provider of microelectromechanical systems (MEMS) sensor platforms. InvenSense provides solutions that combine MEMS sensors with proprietary algorithms and firmware to intelligently process, synthesize, and calibrate the output of sensors, maximizing performance and accuracy. InvenSense’s motion tracking, audio and location platforms and services are ideal for mobile, wearables, smart home, industrial, automotive, and Internet of Things (IoT) products. The InvenSense product line, available at Mouser Electronics, includes a range of MEMS audio and motion devices. 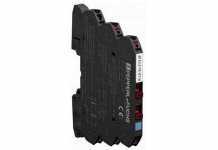 The ICS‐52000 is a bottom port, low-noise microphone with a 24-bit time-division multiplexed (TDM) digital output. This complete microphone solution is ideal for microphone arrays and can support up to 16 synchronized microphones on one data line, which can significantly reduce the cost and complexity of the audio signal chain. Mouser is also stocking three series of InvenSense’s MotionTracking devices. The ICM-20602 high-performance 6-axis MEMS MotionTracking device combines a 3-axis gyroscope and a 3-axis accelerometer in a small 3.0 × 3.0 × 0.75 mm package. 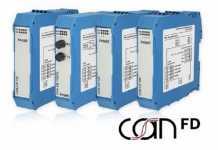 The device offers gyroscope sensitivity error of ±1 percent, and includes a 1 kByte FIFO to reduce traffic on the serial bus interface and to minimize system power consumption. The ICM-20648 6-axis MEMS MotionTracking device features an onboard Digital Motion Processor (DMP), which offloads computation of motion processing algorithms from the host processor to improve system power performance. The ICM-20648 is a 3-axis gyroscope and a 3-axis accelerometer in a small 3.0 × 3.0 × 0.9 mm package. Tuned for wrist-worn wearables, the ICM-20648 includes step count, activity classifier, and Bring-to-See (B2S) gesture applications. The ultra-low-power ICM-20948 9-axis MEMS MotionTracking device offers a 3-axis gyroscope, 3-axis accelerometer, and 3-axis compass integrated into a 3.0 × 3.0 × 1.0 mm, 24-pin QFN package. The device runs at just 2.65 mW and includes an on-chip DMP and run-time calibration firmware to enable designers to eliminate the costly and complex selection, qualification, and system-level integration of discrete devices. To learn more about InvenSense, visit http://www.mouser.com/invensense/.